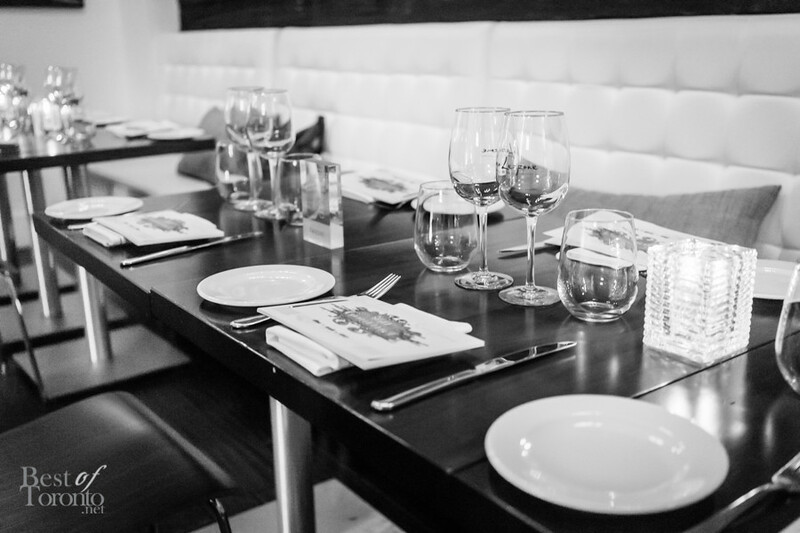 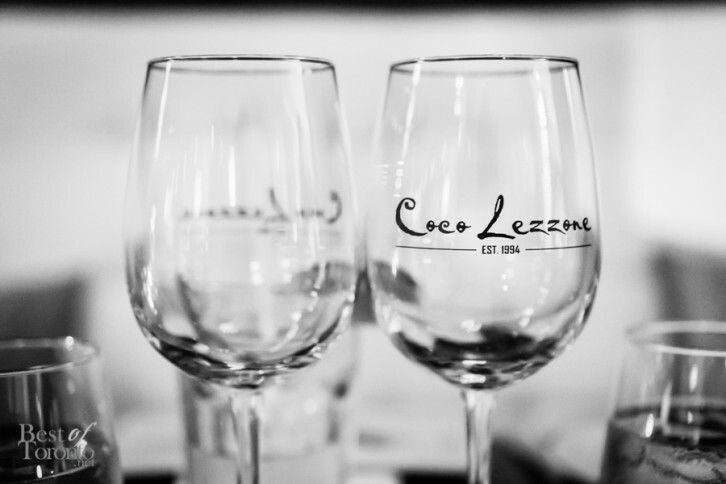 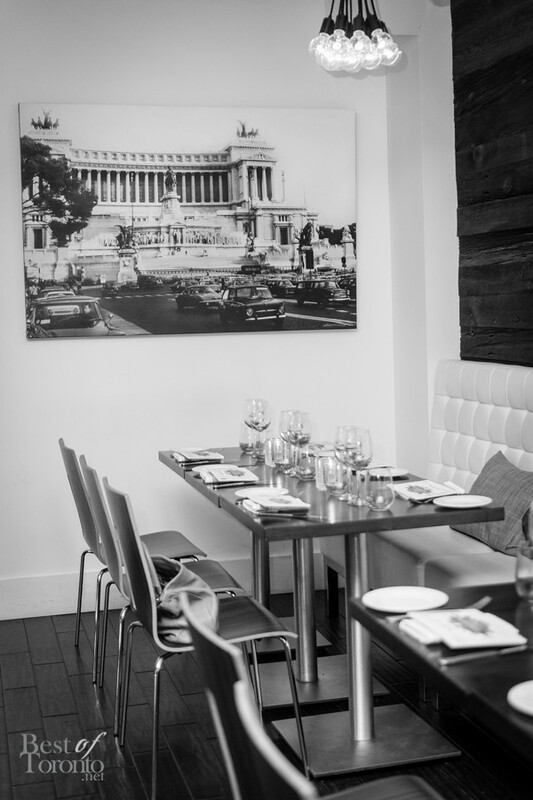 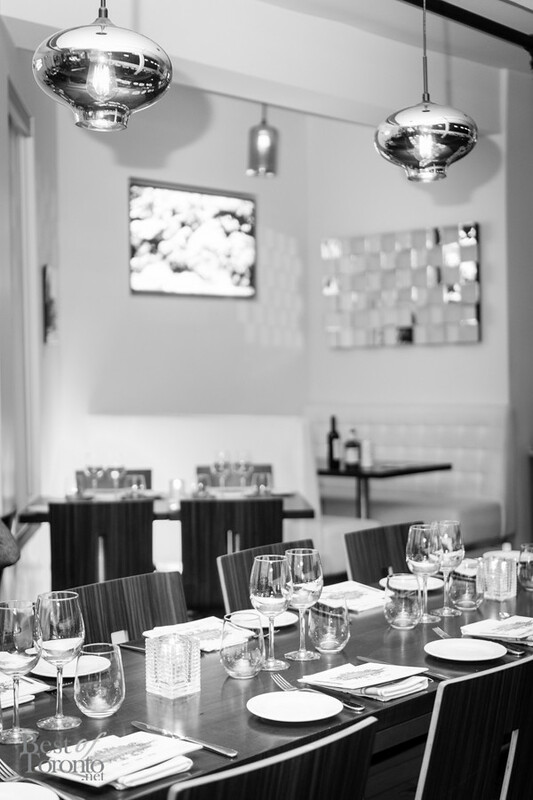 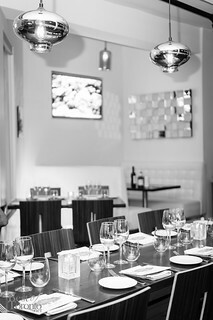 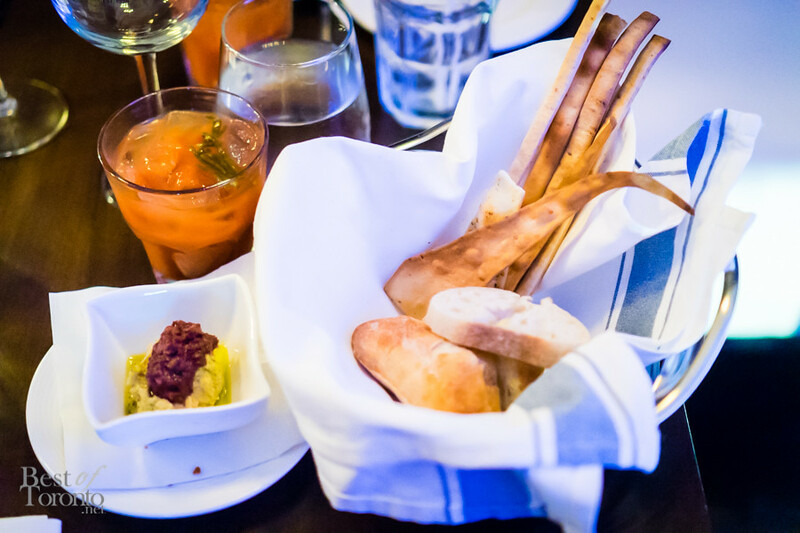 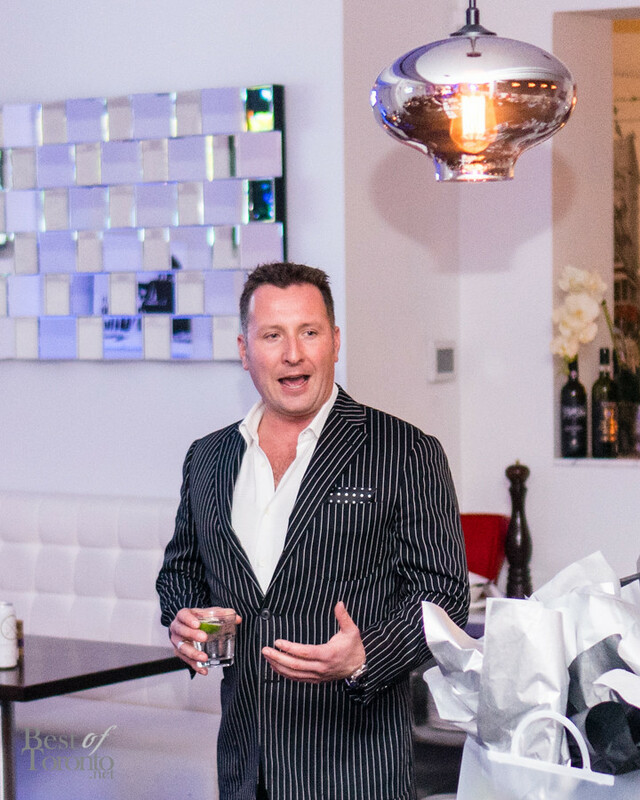 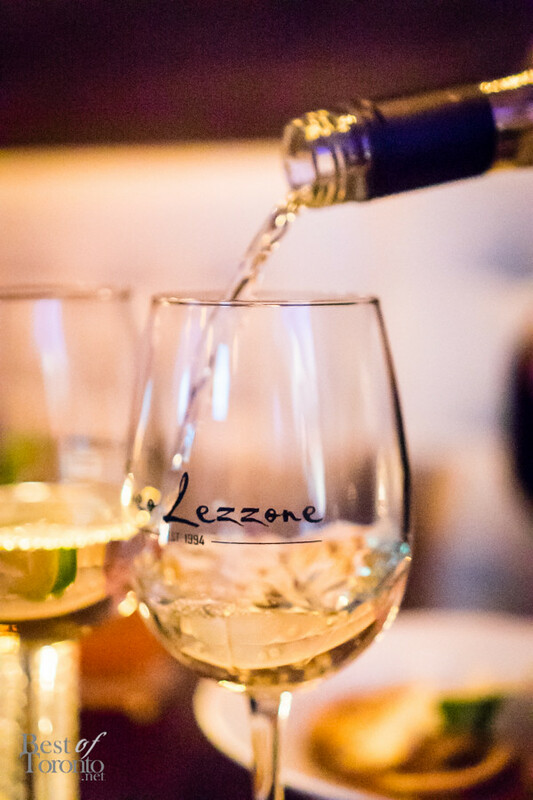 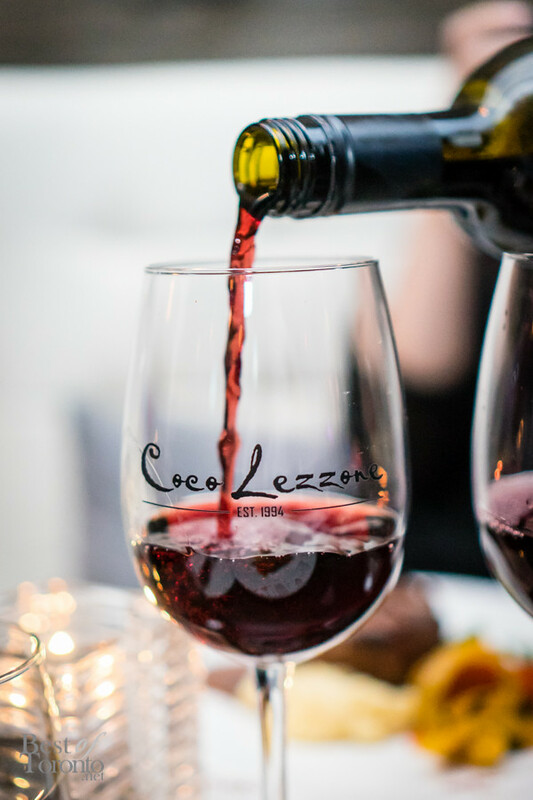 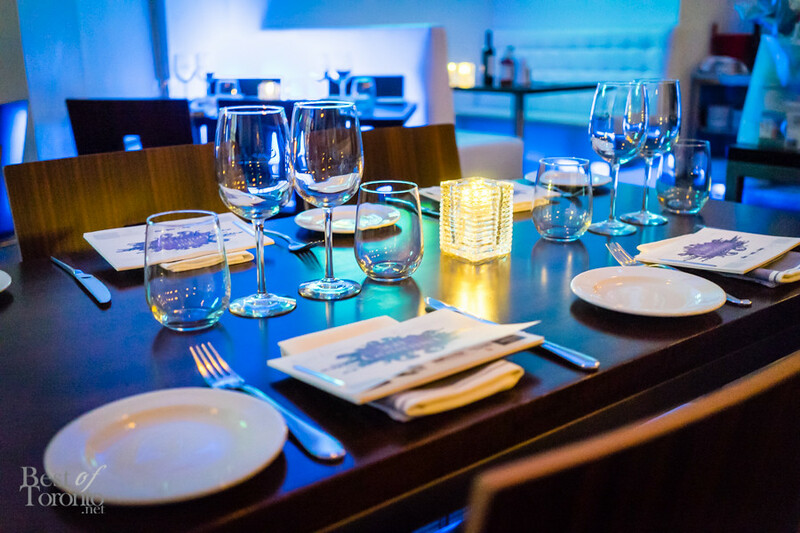 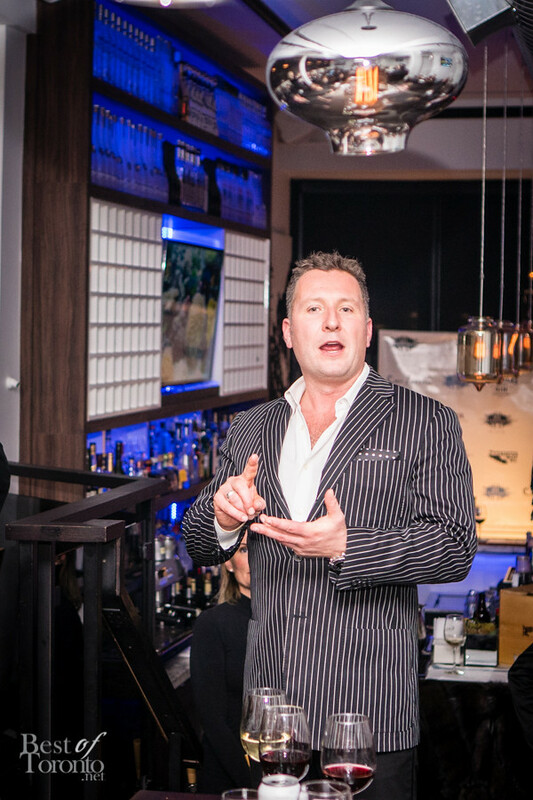 The Italian restaurant, Coco Lezzone, located in the Yorkville district (137 Avenue Road), provided us the ultimate 4-course pairing dining experience on Tuesday November 17th. 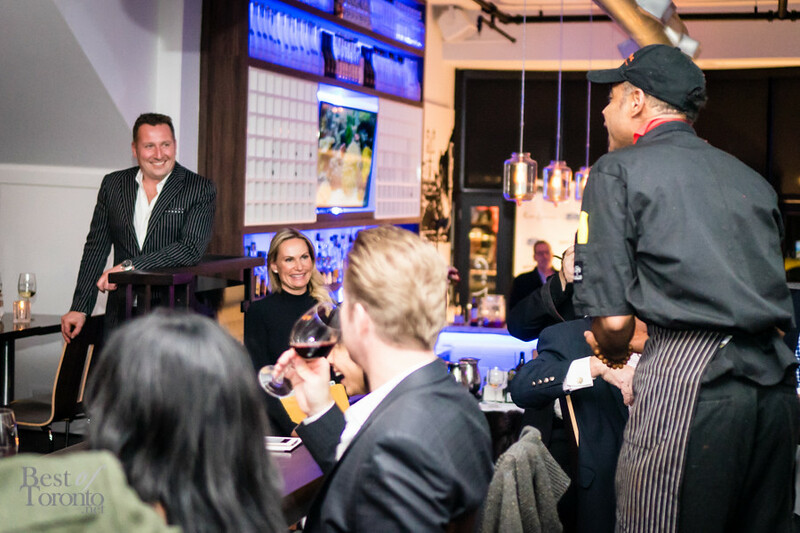 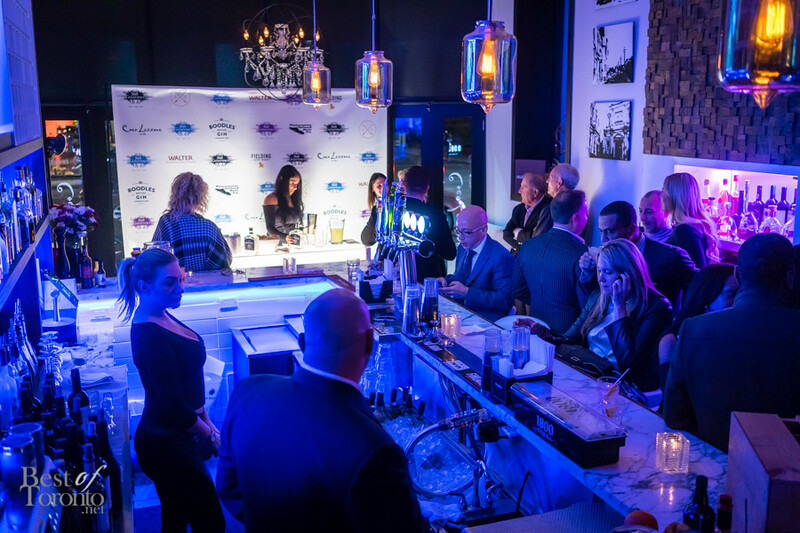 This event was hosted by the 360 Gourmet Club, a new pop-up event service that gives diners a taste of a chef’s creations, a guide-through of each course, as well as take-home recipes and specialty ingredients. 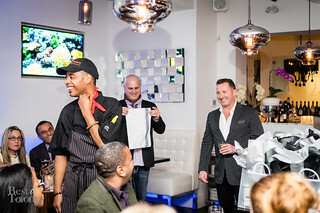 Chef Marlon Graham and master mixologist/TV host, Jeremy Parsons, took us through the first interactive dining experience. 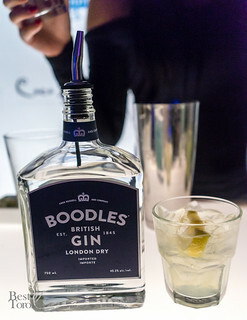 We were welcomed with a classic British Boodles Gin-infused cocktail called the “St. Ive’s”. 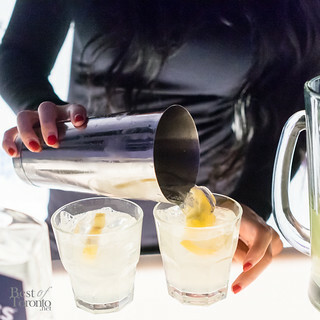 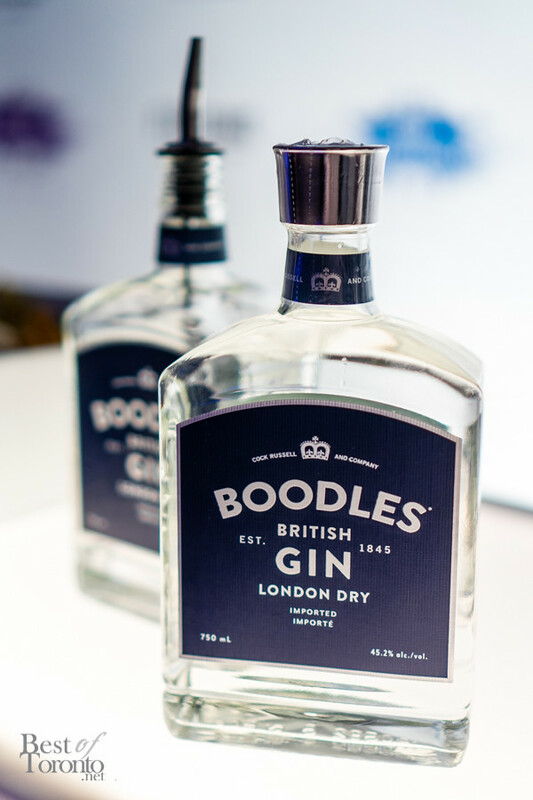 Boodles Gin uses versatile gin recipe from 1854 that has a unique clean and crisp flavour, allowing it to go well with the St. Ive’s, which has margarita and citrus elements, or the “Rex”, a tomatoey caesar that uses Vancouver Island Jerk salt, worcestershire sauce, and chipotle sauce. 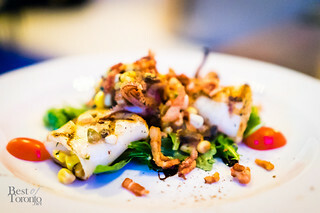 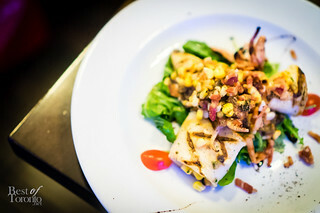 The first course served was calamari, grilled to perfection, with bacon, corn, tomato, and arugula. 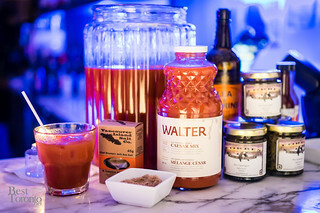 The subtle smokiness of the tender calamari paired up well with the spicy tanginess of the Rex cocktail, which features Canada’s first all-natural Walter Caesar mix in the delicious caesar-gin concoction; the dish and drink were the perfect match. 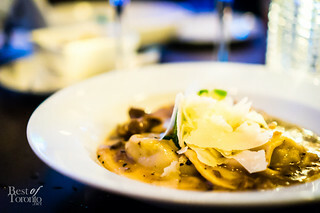 The second course was a wild porcini mushroom ravioli in a truffle oil, Grana Padano, topped with a creamy sauce. 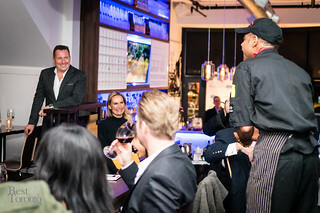 Just for the night, Chef Graham incorporated the popular LCBO Fantasy Chardonnay Sauvignon in the sauce which added a light, sweet flavour that worked well with the earthiness of the mushroom. The Fielding Estates Wine White Conception, an aromatically intense white wine, was the perfect way to cleanse the palate of the rich fungi sauce. For our main course, a 7 oz. filet mignon came with a veal stock balsamic reduction with mixed peppers and green beans. 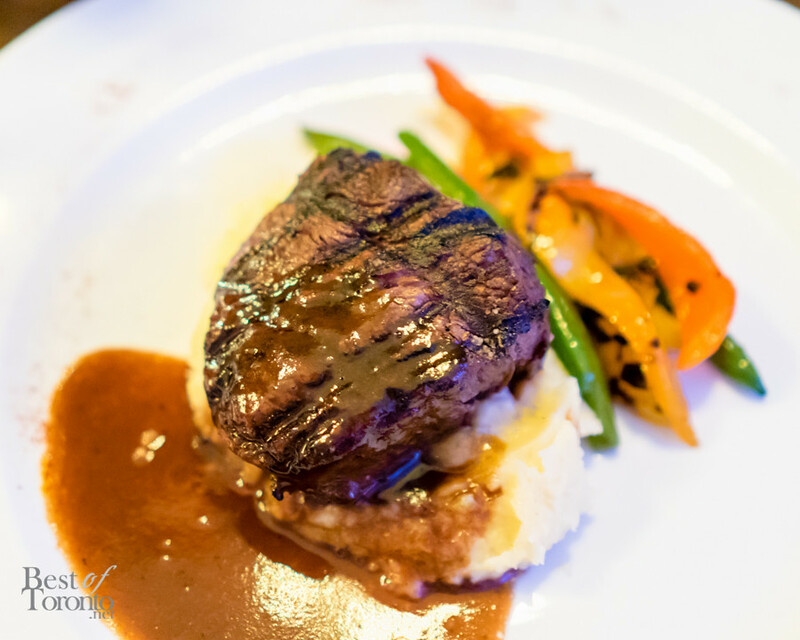 The meat was marinated twice – with Montreal Steak spice, Vancouver Island Spanish paprika salt, garlic, and olive oil – so that during preparation the steak would soak everything up in creating a very juicy steak. 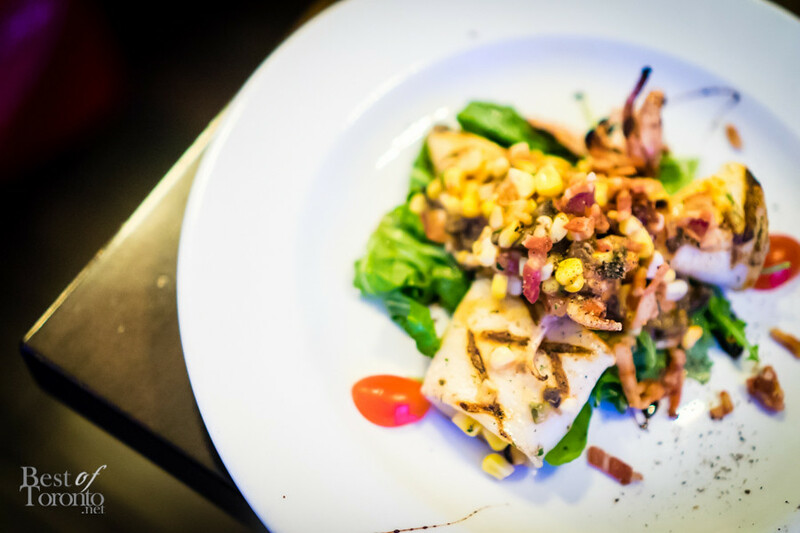 The sweetness of the balsamic reduction brought out the merlot grape flavours from the accompanying Fielding Estates’ Red Conception Wine. 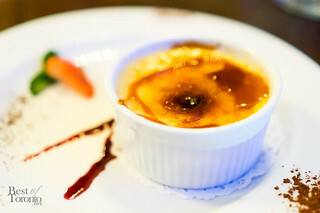 The sweet finish was a Bailey’s Creme Brulée, a pleasant dessert with blueberries and heavy vanilla cream. 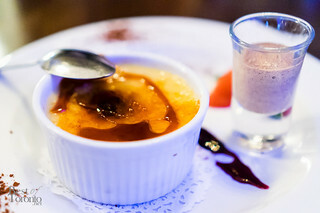 It was divinely smooth, as expected, and went with a bitter cinnamon “cloud” or foam of Bailey’s espresso. 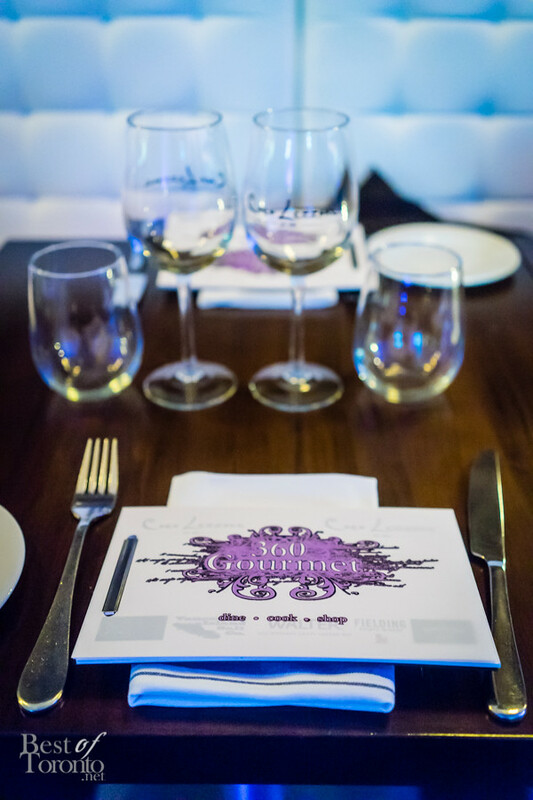 This was definitely a one-of-a-kind experience with the guests having the opportunity to replicate this meal with a complimentary recipe book for the courses tonight, and some of the ingredients needed to make them. 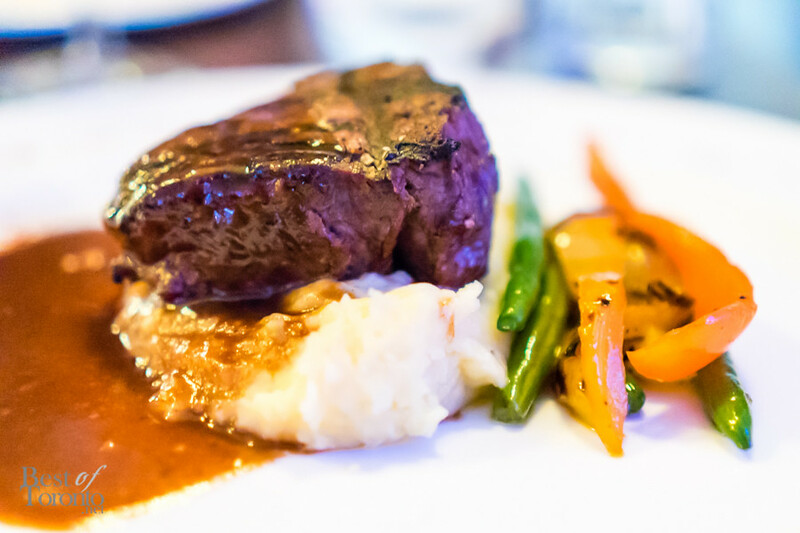 I particularly enjoyed hearing the hosts’ culinary knowledge, such as never using fine salt when marinating steak, or aerating the sides of the mouth before sipping wine for maximal taste and enjoyment. The cozy restaurant made the perfect location for the first ever 360 Gourmet Club bespoke culinary event. 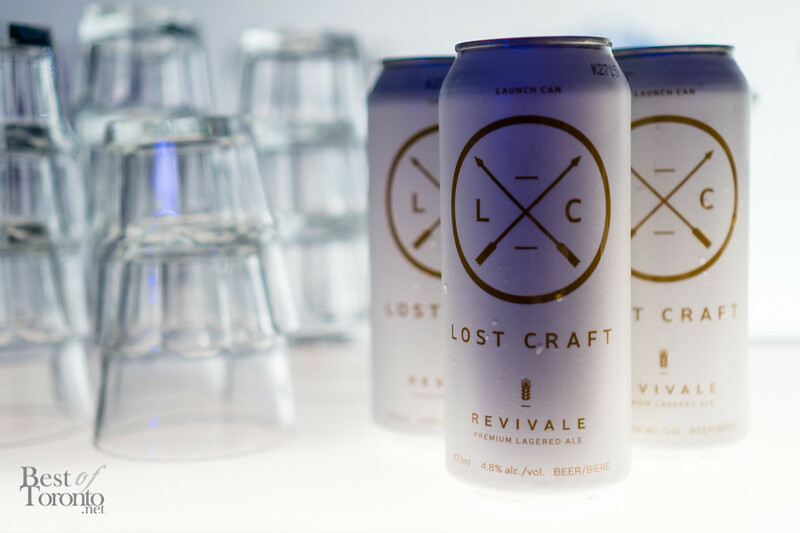 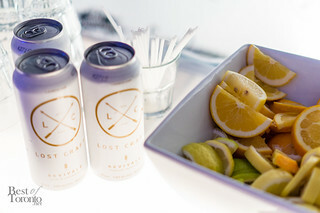 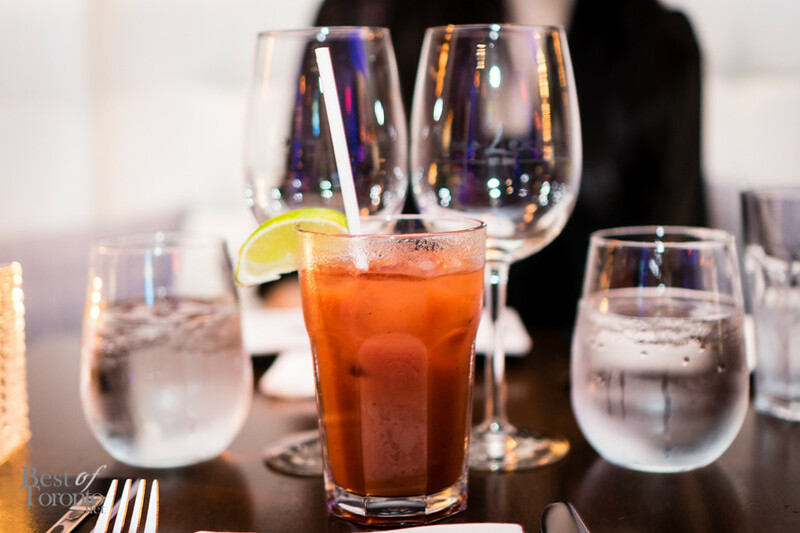 It definitely brought awareness to the traditional yet modern food of Coco Lezzone, and also to beverage brands such as Boodles Gin, Fielding Estates Wines, Walter Caesar Mix and Lost Craft Beer, some of which were just recently introduced to the Canadian market. 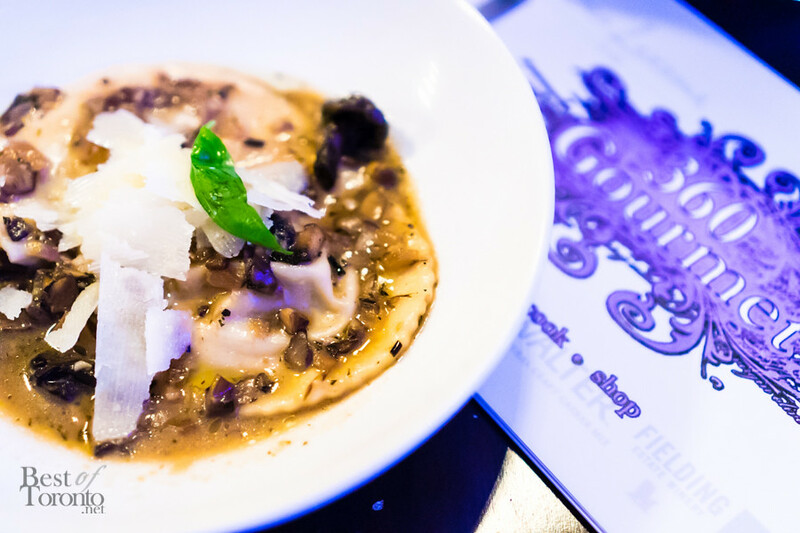 360 Gourmet Club brings together local talent – restaurants, TV personalities, packaged goods, breweries etc. – for a unique experience. 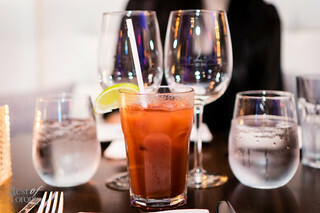 They will be going national in the next 4 months, in hopes of entertaining fellow Canadian diners all over the country.